On March 26, 2013, one brand new A320-214 aircraft was delivered by China Aircraft Leasing Company Limited (“CALC”) to Shenzhen Airlines (“SZA”) at Airbus Hamburg. 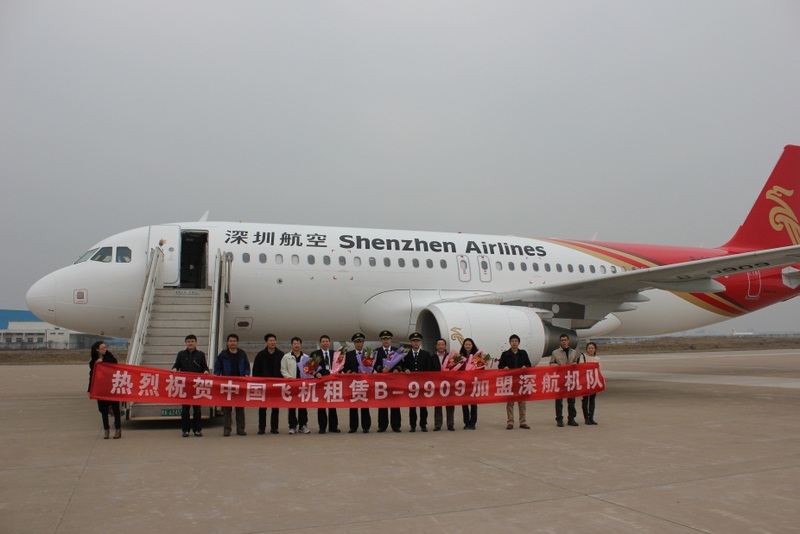 It landed at Tianjin Binhai International Airport in the morning of 27th March 2013 and was the first A320-214 aircraft that CALC delivered to SZA under a Sale and Lease back transaction. The successful delivery has opened the way of cooperation between CALC and SZA. This aircraft, powered by CFM56-5B4 engine, is equipped with eight first class seats and 150 economy class seats in a standard two-class cabin, enhancing the SZA’s fleet further. With experience in operating off-shore and domestic leasing platforms, CALC had provided a comprehensive leasing and financing structures which satisfied SZA’s demand. With our strong shareholders’ and professional team’s support, CALC will continue to offer optimal solutions for airlines according to the current market conditions and future projections.